Dependable Mechanical Systems offers a one-stop shop for mechanical contracting. Rajesh Ahuja of Dependable Mechanical Systems (DMS) wanted his company to grow as quickly as possible by delivering mechanical systems for projects faster than the competitionwith even more quality. Ahuja, president of DMS, has accomplished this since launching his firm in 2002 by bringing in as many aspects of mechanical contracting as possible in-house. Between its technological infrastructure, training program and fabrication facility, DMS is making this growth a reality, and business leaders are taking notice. 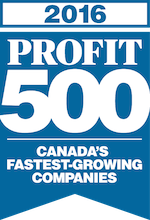 The company has been listed among the fastest growing companies in Canada five years in a row by Profit magazine. DMS provides complete design/build mechanical contracting services for the industrial, commercial and institutional sectors of the construction industry. 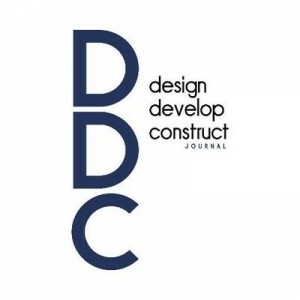 DMS was incorporated in August 2002 and started construction work in 2005. The company has grown exponentially since its humble beginnings, and today DMS it occupies a 25,000-square-foot facility in Vaughan, Ontario, Canada. DMS also has regional offices in Belleville, Ontario, where it services eastern half of the province from Kingston to Ottawa. DMS recently upgraded its own technological infrastructure by developing proprietary software to manage all of its projects in real time. The software takes data from every DMS project throughout Ontario and makes it accessible through the company’s website. The automated system can be programmed to send updates to DMS subcontractors so they know when their services are required on a specific project. Ahuja says it took DMS four years to create the software after hiring a programmer to develop the program internally. DMS considered using off-the-shelf software, but Ahuja says he prefers the flexibility that comes with customizing proprietary software. “This can be expanded in the format we need and it can handle that load,” Ahuja says. “Is the system complete? No, it will never be complete.” The proprietary software system is just one of many internal controls DMS has over its operations to better handle costs and quality for its clients. Ahuja says DMS also invests heavily in internal training of its employees, and it offers a competitive pension plan to retain its workforce. The company’s aggressive growth strategy is a key factor in retaining employees, according to Ahuja. DMS also encourages employees to give their feedback about anything and everything. DMS is the mechanical contractor on the new maintenance hangar 6 at 8 Wing/ Canadian Forces Base Trenton in Ontario. This two-bay hangar will serve as a space for the maintenance of the CC-177 Globemaster III Fleet and CC-150 Polaris Aircraft. To accommodate these aircraft, the clear height for both hangar bays is approximately 23 meters. The entire project encompasses 18,244 square meters. The project value sits at $82.3 million, which includes the construction of the aircraft bays, administration offices and warehouse space. The mechanical scope of the project involves supply and installation of boilers, in-floor heating system, compressed air system, exhaust fans, waste fluid transfer and storage system, air handling units, energy recovery units, humidifiers, chillers, ductless split system, plumbing fixtures and all pipe and duct work including insulation and controls. DMS’ portion of work costs $10.5 million. DMS also is providing mechanical contracting for the Union Pearson (UP) Express Project in Toronto. The UP Express is a $23 million Metrolinx project awarded to Ellis- Don Corp. that connects Canada’s two busiest transportation hubs – Toronto Pearson International Airport and Union Station in downtown Toronto, with each one-way trip taking about 25 minutes, according to DMS. Ahuja says this project is on track to be completed in time for the Pan Am and Parapan Am Games in summer 2015. DMS’ mechanical scope of work involves supply and installation of boilers, water heaters, split A/C units, humidifiers, a snow-melting system, in-floor heating system, exhaust fans, air curtains, heat recovery, ventilators, air-handling units, plumbing fixtures and all pipe and duct work including insulation and controls. The company’s contract for this work is worth $2.5 million. With high-profile projects like the air force base and Metrolinx station, Ahuja has lofty expectations for DMS. The company has plans to open another regional office in Ottawa in its pursuit of becoming a nationwide mechanical contracting company, and Ahuja expects to reach $50 million in revenues within the next three to four years.